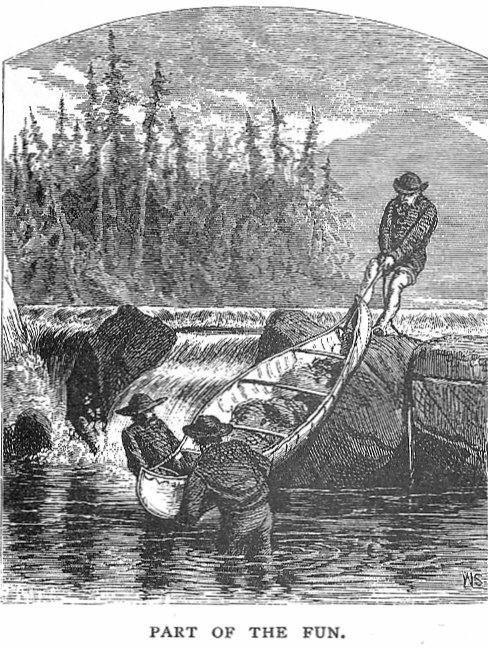 raftsmen during the timber trade and those used by the Voyageurs during the fur trade. 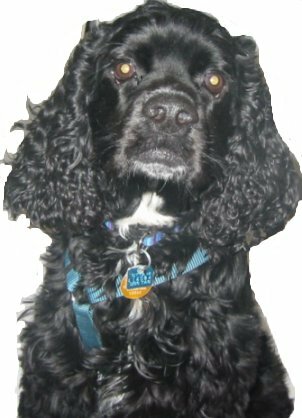 Sidney, shown below in the centre, is keen to go on some of the trips. Hartwell's Locks, Hog's Back and Black Rapids. Right in the centre of Ottawa! Ompah Area, many lakes including Mosque, Palmerston, Crotch (Cross) and Canonto. 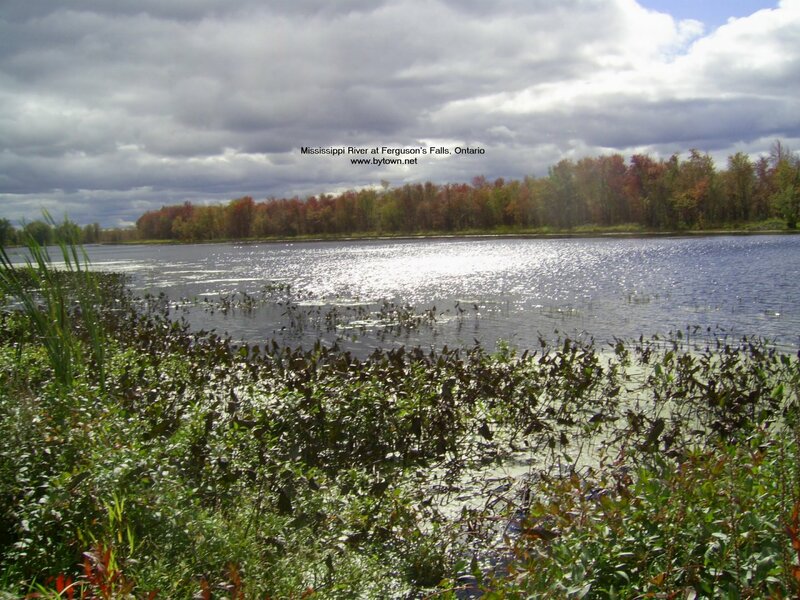 Taylor Kennedy's Madawaska River System page (Algonquin Park to the Ottawa River at Arnprior). Fitzroy Harbour and Morris Island (Changing Topography on the Ottawa River, over time, due to Rapids and Dams). 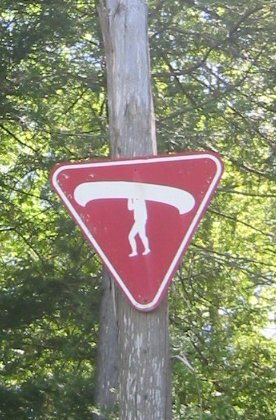 The canoe portage route used by the Voyageurs was located on the north side of the Chaudiere Falls. by Eric W. Morse, page 69. See also our Latchford page. 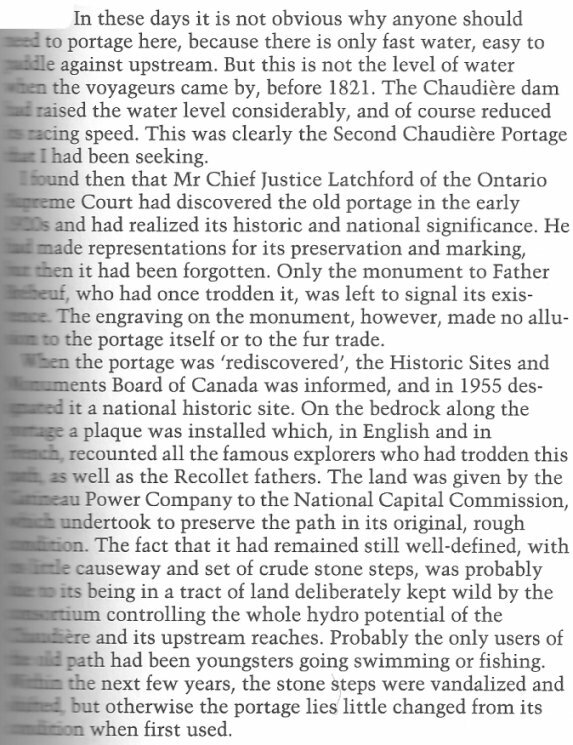 The photo and text, below right, is from Exploring Ottawa, by Harold Kalman and John Roaf, page 193. 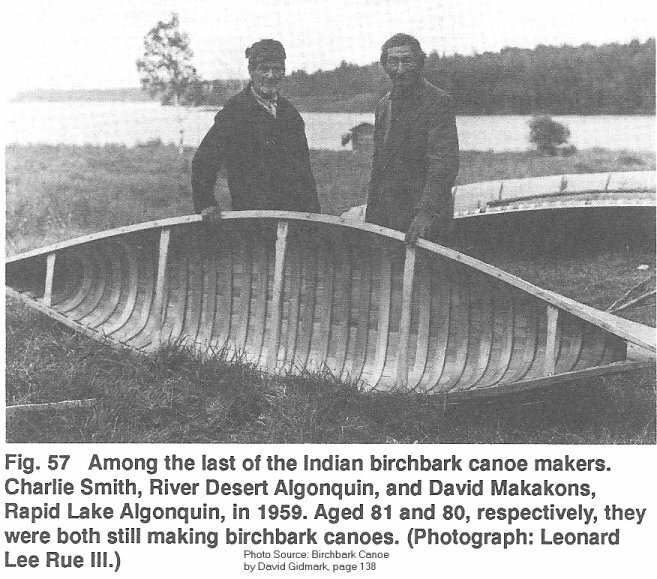 See a general history of the Birch Bark Canoes in the Ottawa / Gatineau area. 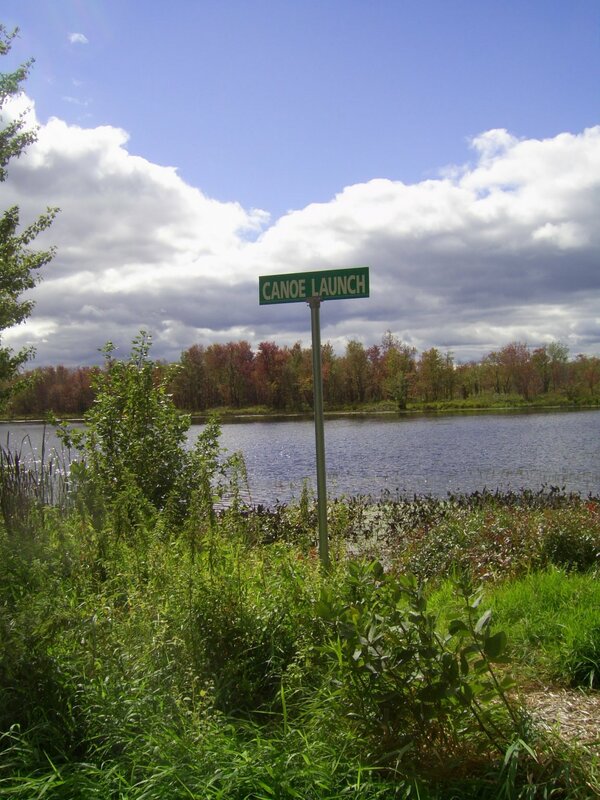 An important fur trade and lumber industry route. 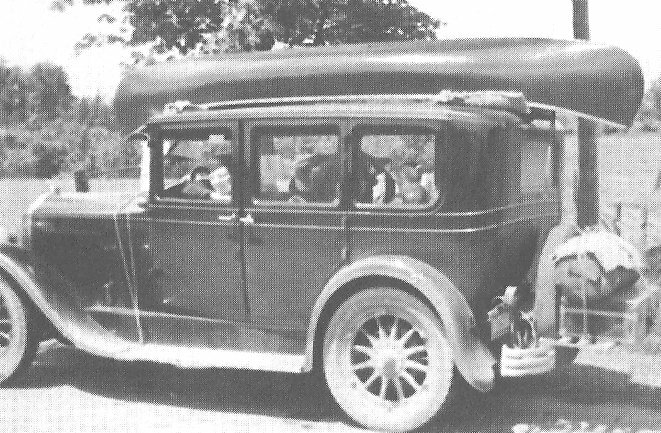 The canoe on top of the 1928 McLaughlin Buick is the grandfather to the green canoe pictured above! 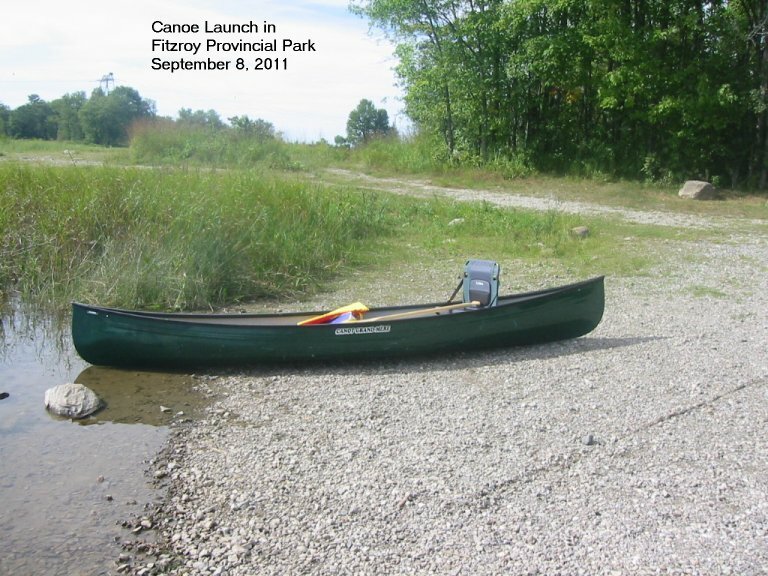 Finally, canoeing is back in the Ottawa area, although the wind is brisk. 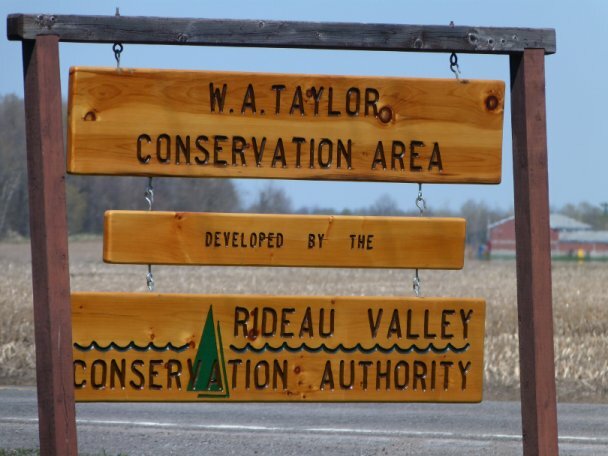 These photos were taken at the W. A. Taylor Conservation area on the Rideau River, just south of Manotick, in Osgoode Township. 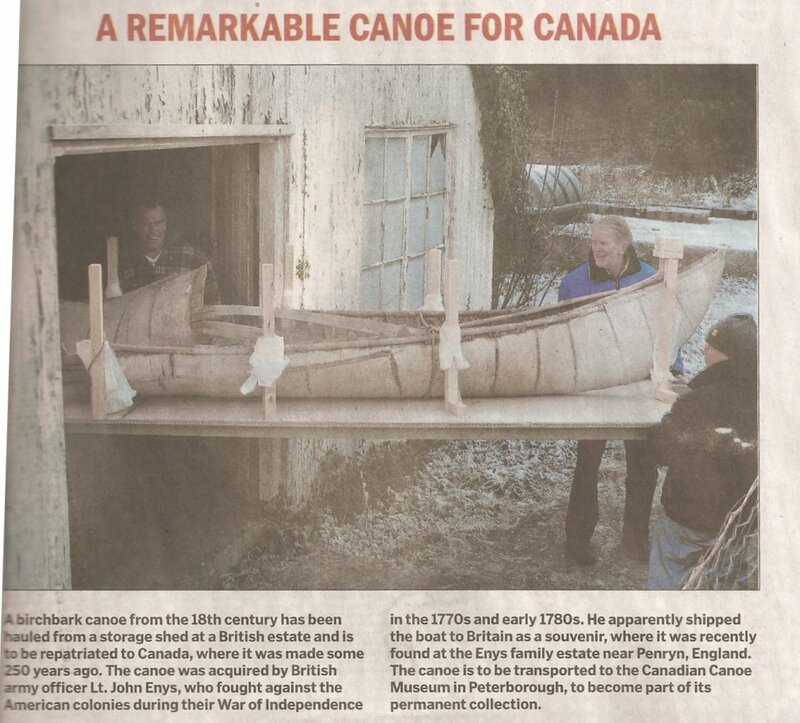 The lady in the back of the canoe is a descendant of the well-known Lindsay family from Kars in North Gower Township. See pictures of the Lindsay ancestral home and an example of early boat building by the Lindsay family on our North Gower web page. I wanted to introduce Louise Tanguay www.louisetanguayphoto.com  to you and a Photo Workshop we`re presenting this September 6-9 on the Dumoine River. I believe it is a beautiful place that she and her students will enjoy. Dumoine Valley which is a candidate for Aquatic Reserve Status from the Quebec Government. For further information on the Dumoine Photo Workshop see  www.louisetanguay.com scroll down to workshops. On the Road, Again. 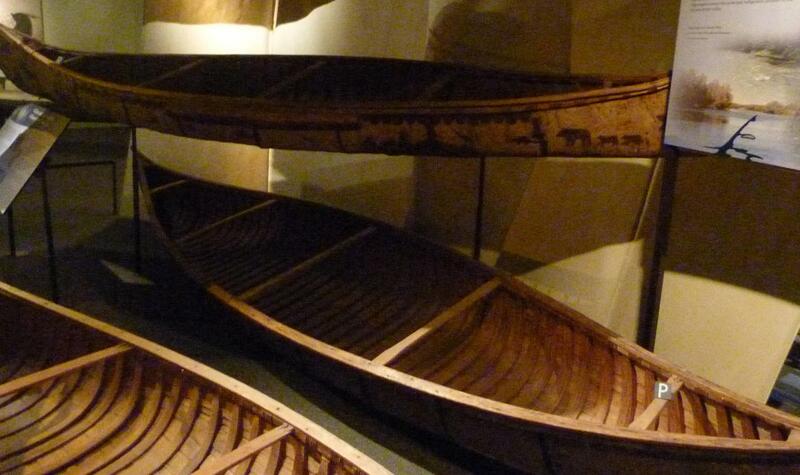 The photo below shows three birch bark canoes on display at the Canadian Canoe Museum in Peterborough, Ontario. 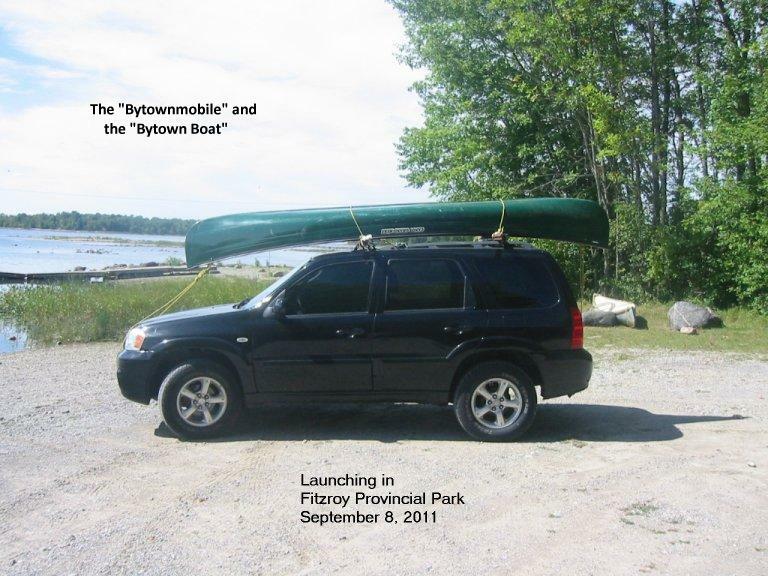 The top canoe was built by William Commanda (see photo and story), a traditional Algonquin canoe builder from Maniwaki, Quebec. New e-mail address for Wally Schaber has been incorporated in the list below. for the Champlain 400th anniversary. 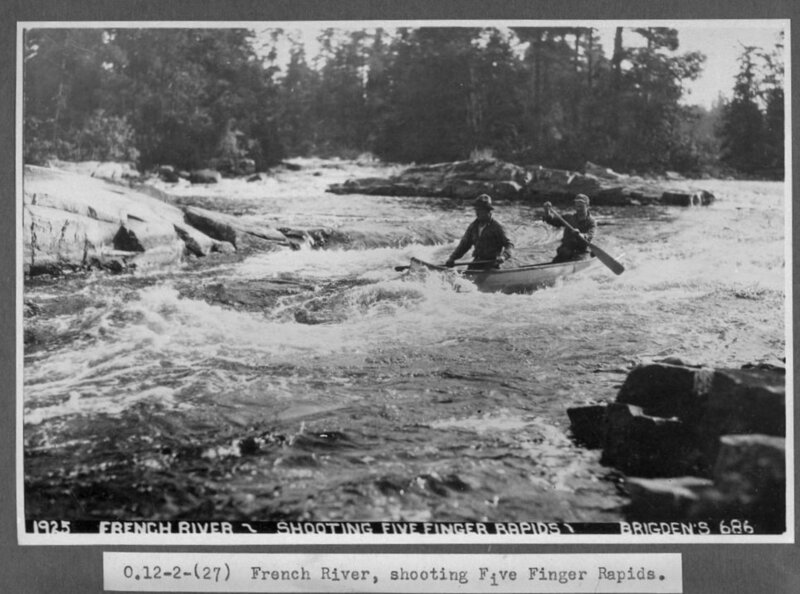 Thanks to Taylor Kennedy for sending along this photo of the Five Finger Rapids on the French River in 1925. 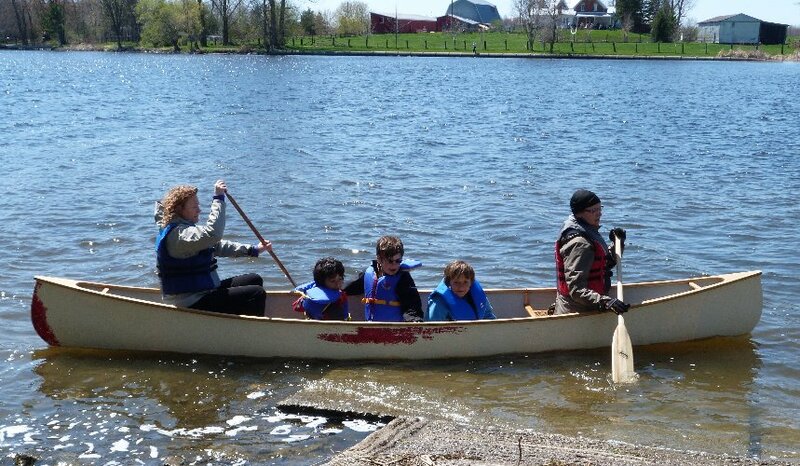 OK, this craft is not a canoe, but it looks like fun! 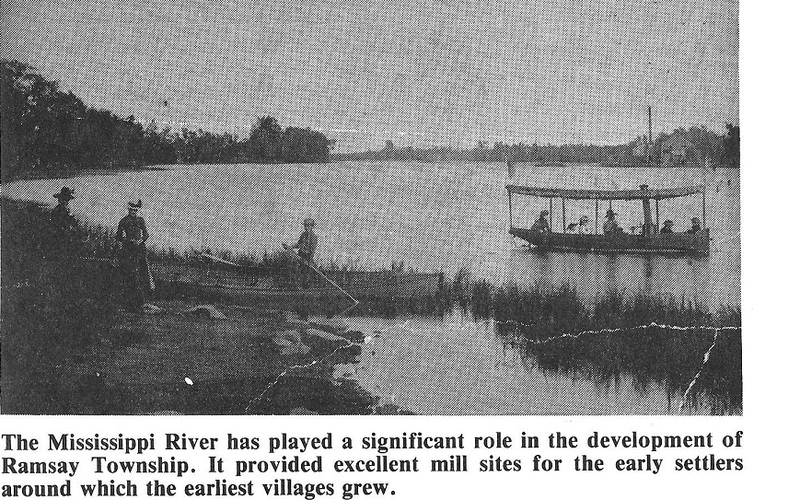 Source: Ramsay Reflections, 1836-1979, Ramsay Township Council, page 5.